At the Centeno-Schultz Clinic we recognize that tears of the Anterior Cruciate Ligament (ACL) can be game changers. Surgical repair is associated with significant complications which include infection, graft failure and alteration of biomechanics. 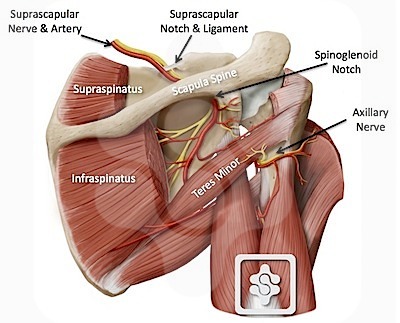 Many patients who undergo surgical repair do not return to high level competition. Stem cell therapy is a viable alternative to traditional surgical repair. The Regenecxx SD procedure enables a patient to forgo surgery, the lengthy rehabilitation and utilize their own stem cells to heal tears in the ACL. HK is a case in point. He is a 44 y/o athletic weekend warrior who sustained a hyper-extension injury with near complete tear of the ACL. He declined surgical repair and underwent Regenexx SD. 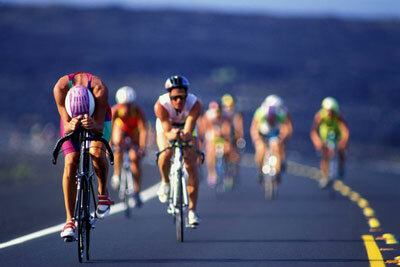 6 months post injection of his stem cells he had complete return to normal activities and sports. 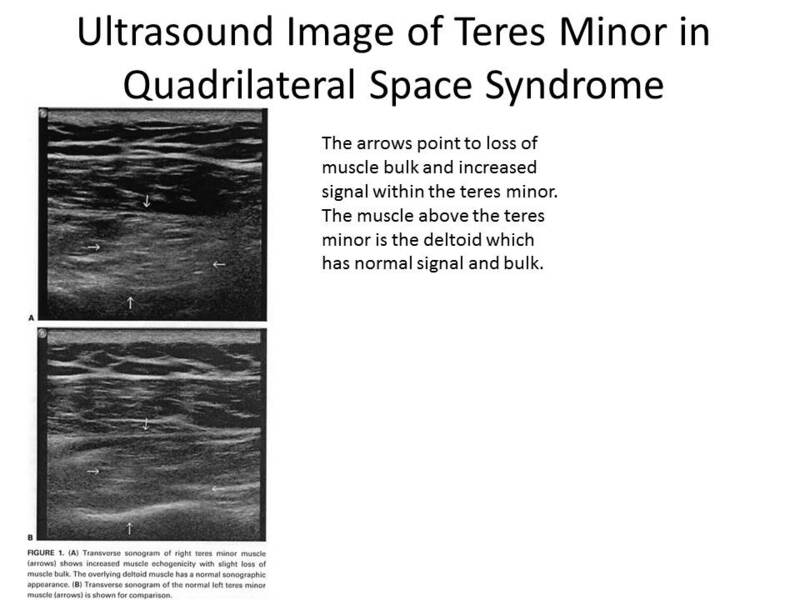 His professional and scholastic endeavors delayed follow-up MRI which accounts for the gap in pre and post imaging. Pre and post stem cell treatments are posted below. The pre-injection images are on the left and the post injection images are on the right. 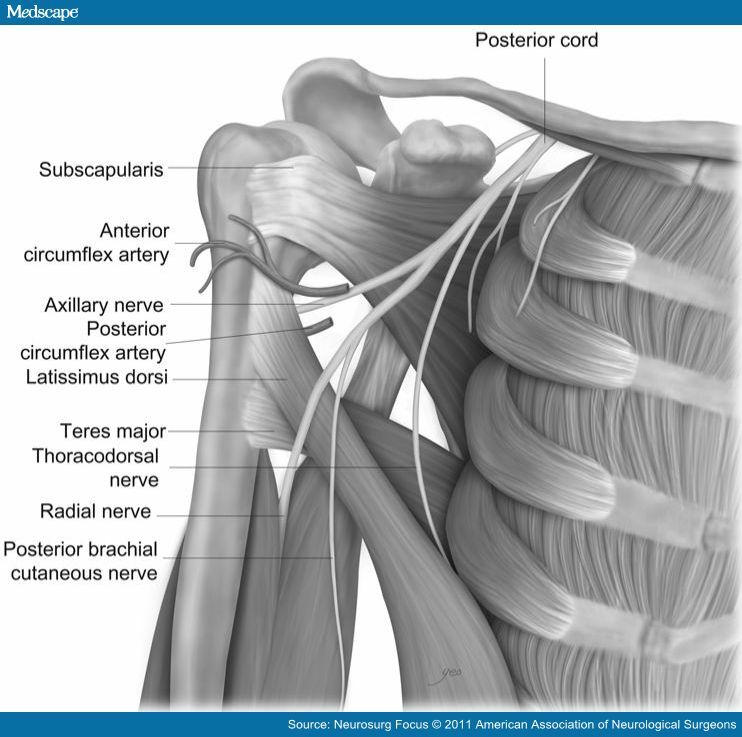 The first images are taken from the side (sagittal) whereas the second set are frontal (coronal). The thigh bone is on top (femur) and the tibia is below. The ACL stretches across the knee-joint and prevents excessive forward motion. The ACL is outlined in dashed yellow lines. On the pre-injection images note the disorganized quality of the ACL fibers and the disruption of the ACL towards the top. On the post injection images the ACL fibers are well-organized, tight and uniform extending from the tibia to the femur. 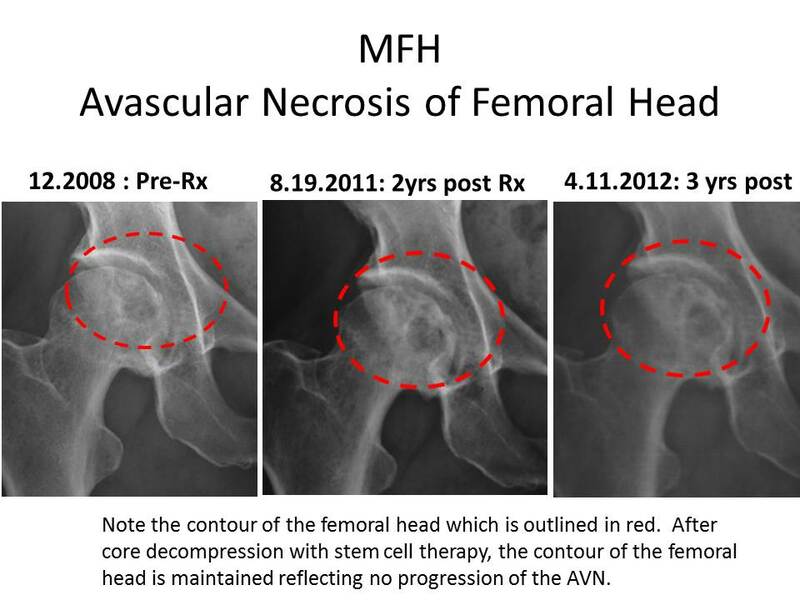 The formal MRI report post stem cell injection notes no tear in the ACL which is consistent with HK’s clinical results. 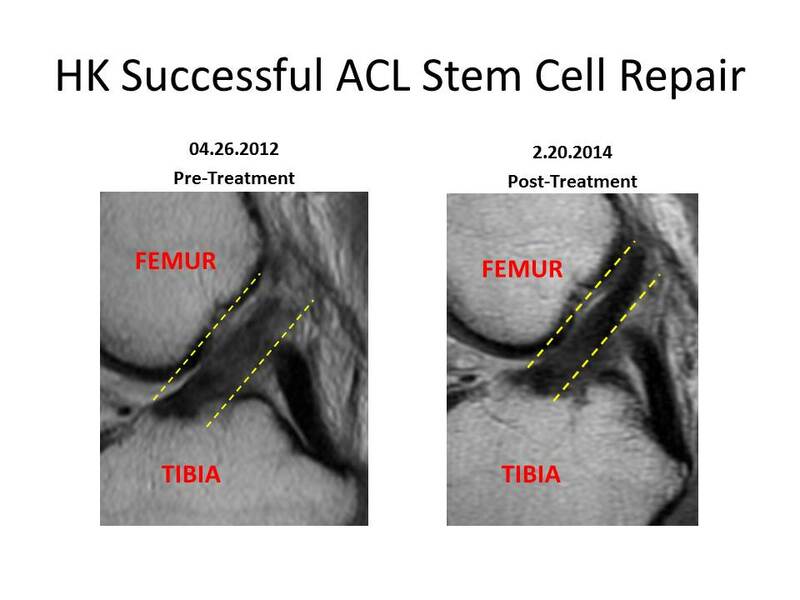 In 2014 stem cell treatment is an alternative to traditional surgery for tears of the ACL. At the Centeno-Schultz Clinic we understand that injury to the anterior cruciate ligament (ACL) can be a game changer. Repair of anterior cruciate ligament (ACL) tears with stem cells is an alternative to traditional surgery. 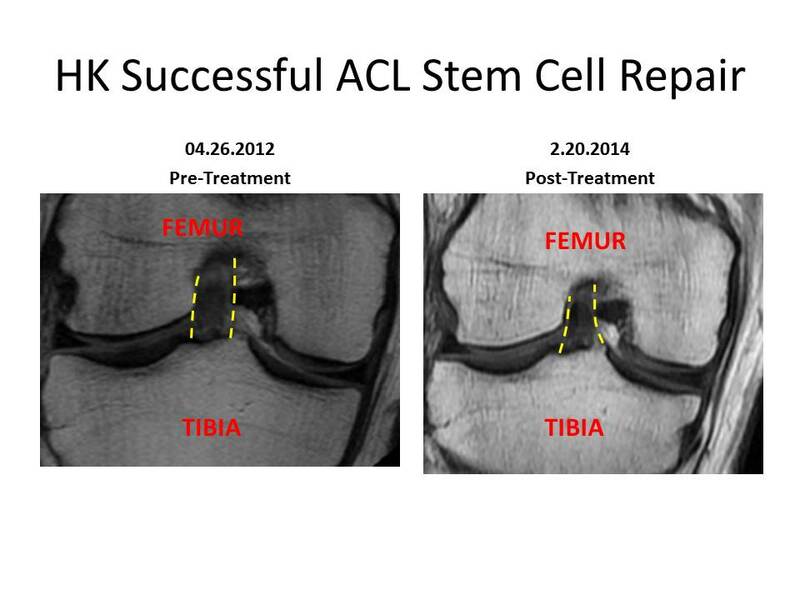 Regenexx SD utilizes a patient’s own stem cells to repair ACL injuries. Case reports have demonstrated the successful repair of ACL injuries without surgery utilizing a patient’s own stem cells. The anterior cruciate ligament is the most commonly injured ligament in the United States with a prevalence of 100, 000-200,000 case per year. There are in excess of 150,000 ACL reconstructions performed per year. 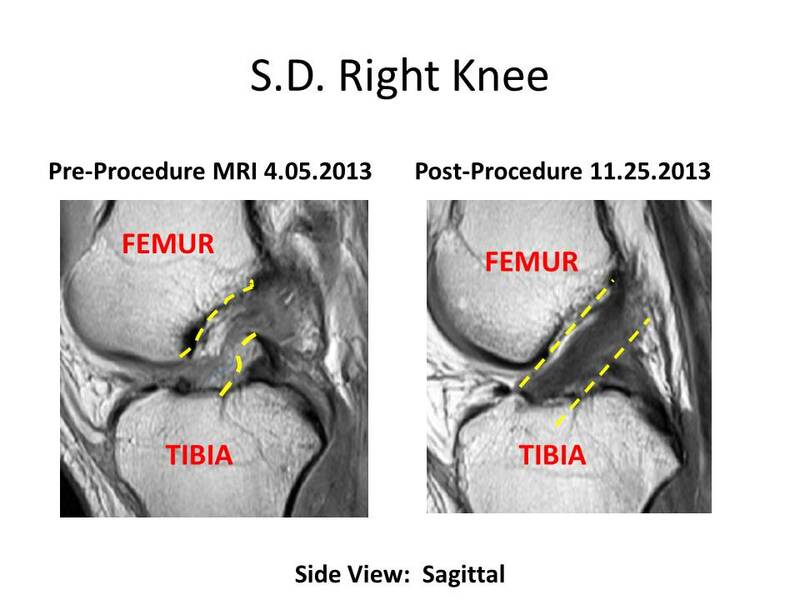 A surgically repaired ACL is not like the original ACL. 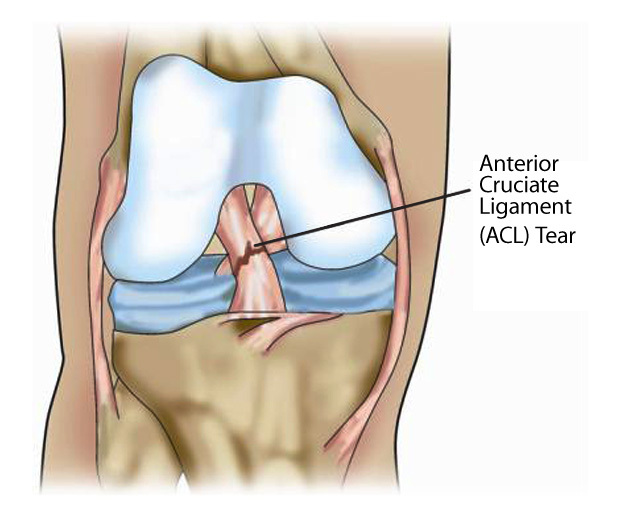 What are the risks associated with surgical repair of ACL tears? –Graft failure ranges from 3-27%. -Failure to restore movement back to pre-injury baseline. 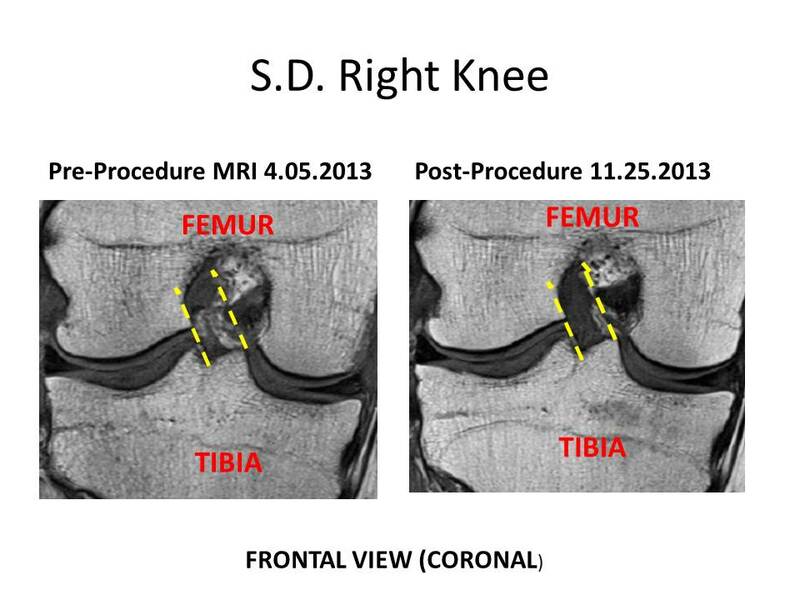 Bottom Line: Know that there are non operative options utilizing your own stem cells to repair ACL injuries. The Centeno-Schultz Clinic has previously reported on the successful treatment of ACL tears with stem cell therapy. Stem cell treatments are an alternative to traditional knee surgery. 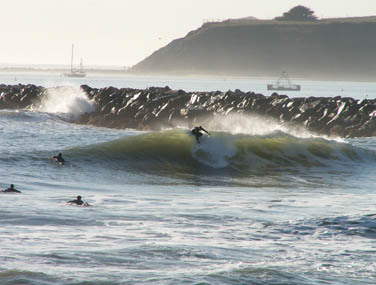 S.D. 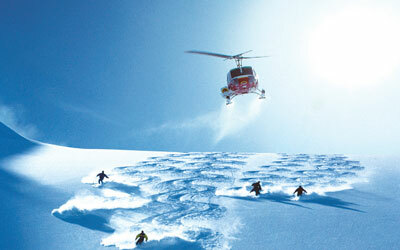 is 38 y/o world-class extreme skier who sustained a complete tear of his ACL and declined surgery. He underwent 5 prolotherapies in Mexico with minor improvement. 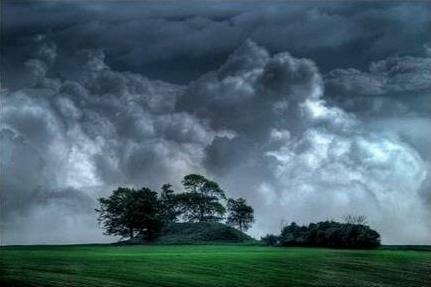 On 7.31.2013 S.D. underwent the Regenexx SD procedure where bone marrow derived cells were injected into the torn ACL. Due to abnormal neurologic examination and history of intermittent lower back pain also underwent Regenexx PL-Disc where concentrated platelet growth factors were injected around the exiting spinal nerve roots and lumbar discs. On 9.13.2013 S.D. 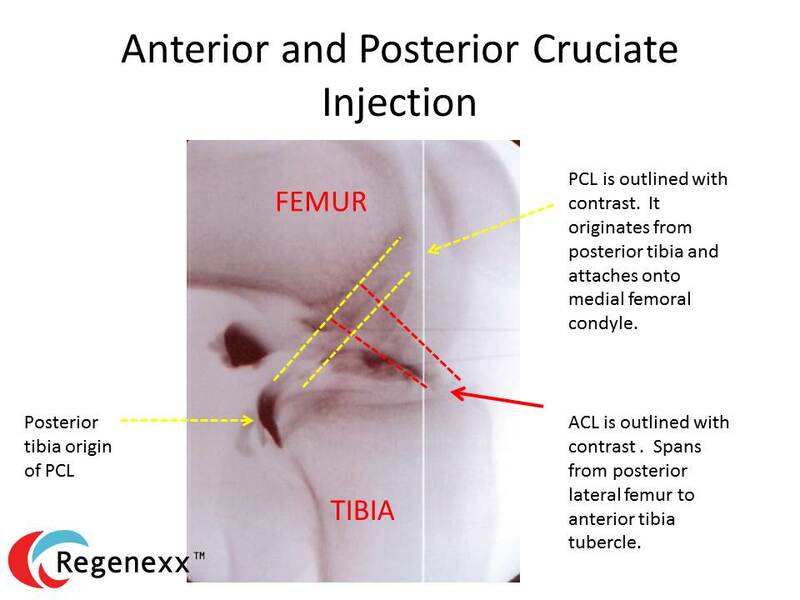 underwent a booster injection with Regenexx cSCP injected into the ACL under direct x-ray guidance. A new MRI was recently performed approximately 4 months post stem cell therapy. The pre and post treatment images are posted below. The ACL is outlined in yellow. Note that the ACL fibers are disorganized and loose in the pre treatment images whereas post treatment the ACL fibers are uniform and tightly organized. This is consistent with his clinical progress as he reports a reduction in pain and increase in stability. 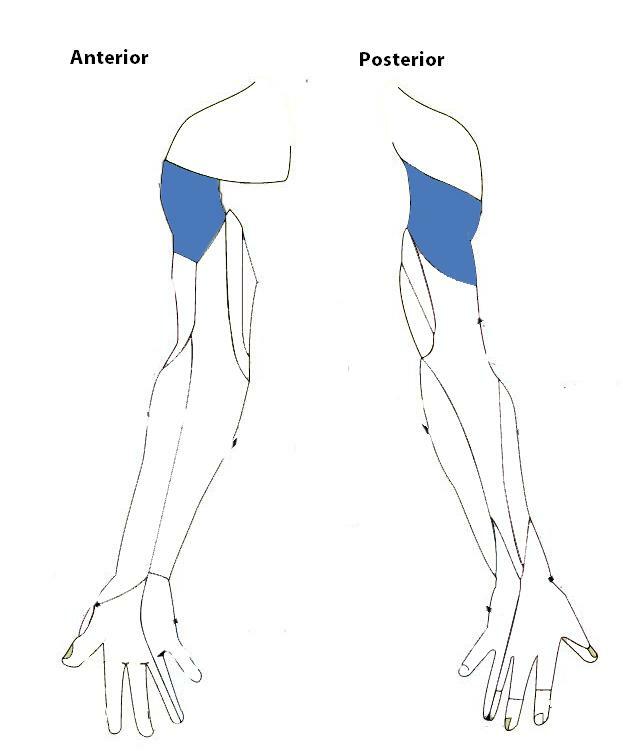 Muscle weakness remains an issue but is improving with MAT techniques. Congratulations to SD who declined surgical repair and opted to utilize his own bone marrow stem cells to repair his torn ACL. 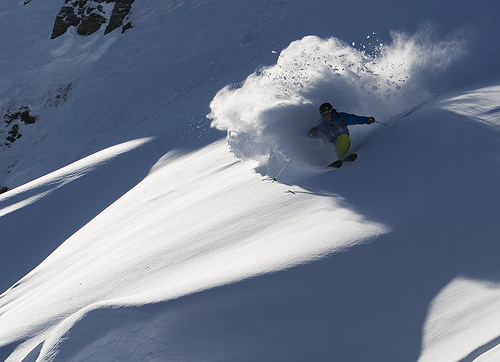 Updates to follow as snow continues to fall and the depth of the powder increases.